Welcome to the law offices of Tanisha N. Bostick. 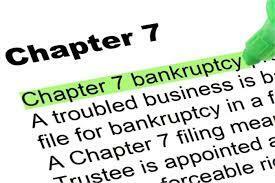 We represent clients in personal injury claims, family law matters, and Chapter 7 and Chapter 13 bankruptcies. We understand that bad things happen to good people. We are on your side. Whether you were physically injured, you are buried beneath a mountain of debt, or you are dealing with family issues; we are here for you. You will receive personal service with the respect, patience, and understanding you deserve. We will keep you informed on the progress of your matter, be attentive to your needs, and work with you to obtain the outcome you desire. Personal injury is a form of civil litigation which results from the bodily or emotional injury of a person or persons caused by another. Whether your injuries result from slipping and falling due to unsafe conditions, a motor vehicle accident, a defective product, or any other negligent act of another, you are entitled to seek compensation. 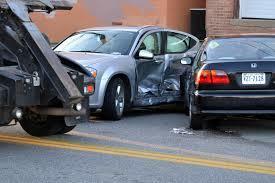 If you were injured by the negligent or careless act of another, you may have a personal injury claim. A bankruptcy filing can eliminate some or all of your debt and you may be able to keep your home and your personal property. Once your bankruptcy is filed, your creditors will be prohibited from contacting you. Even though your debt may be reduced or completely dischared through Bankruptcy, the negative impacts of filing a Bankruptcy may outweigh the benefits of a reduction or discharge of your debt. Therefore, it is important that you speak with a licensed attorney to determine whether a Bankruptcy is the best remedy for your individual situation. Are you looking for a good family attorney? A good family law lawyer is a compassionate, understanding, good listener who treats your case as if it were the only one. 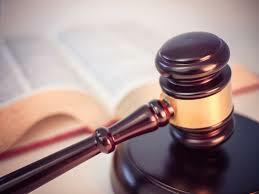 Whether you want to aggressively pursue your property and/or custody rights in court, or you would prefer a strategy of negotiation; you deserve a lawyer who will put your individual needs and priorities above his or her own. Here at the Law Office of Tanisha N. Bostick, we understand what you are going through. We will work tirelessly to make your dissolution (divorce) as painless and stress free as possible. The information in this website is general information and should not be construde as legal advice or legal opinion on any facts or circumstances, nor as a solicitation for legal services. Communication via electronic mail is welcome; however, no confidential information should be sent absent the specific request of the attorney. Please be aware that electronic communication may be intercepted by third parties under no obligation to treat this information as confidential. The act of sending electronic mail, does not create an attorney-client relationship. Tanisha N. Bostick, Attorney at Law does not necessarily endorse, and is not responsible for, any third-party content that may be accessed through this web site. This website may be considered advertising under the rules of some jurisdictions. Nothing contained in this site guarantees any outcome with respect to any future matter in which we may be retained.